Opinion : Should High Wycombe introduce a T(oxicity)-Charge on vehicles entering the town? Are you fed up with all the pollution from the endless traffic jams in Wycombe? A short while ago a T-Charge was introduced in London. The ‘T’ stands for ‘Toxicity’ and the T-Charge is an emissions based surcharge aimed at improving air quality in central London and mainly applies to diesel and petrol vehicles registered before 2006. The new charge will add an extra £10 to the rate for entering the existing Congestion Charge zone increasing the the cost to £21.50 for those whose vehicles are required to pay the charge. Do you think it would be a good idea for Wycombe to introduce its own T-Charge for all vehicles entering the town centre from the Amersham area in the North, the M40 area in the South, West Wycombe in the West and Loudwater in the East? Think of all the revenue it would bring in for the powers that be and the improvement it would make to air quality by making drivers avoid the town centre. Naturally the Council Tax paying residents of Wycombe would be exempt and the charge would only apply to visitors. Of course Wycombe does have an Air Quality Management Area (AQMA) however there’s nothing to deter motorists from entering the AQMA. Surely our town needs a London style T-Charge? Transport for London have even published a handy ‘T-Charge emissions surcharge checker‘ so you can see if your vehicle will fall foul of the new charge. Incidentally my good self happened to check my own trusty vehicle using the aforementioned ‘T-Charge emissions surcharge checker‘. Surely this calls into question the methodology behind London’s T-Charge? Especially if my hideously polluting vehicles are exempt while a modern car is not! If Wycombe does introduce a T-Charge it needs to be done properly. The least fuel efficient vehicles and those putting out lead into the air that give children brain damage should be the ones charged and not the fuel efficient, emission concious modern vehicles. 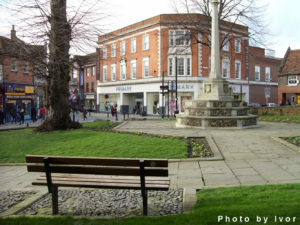 My blogs are published regularly here on the WycombeToday.com website.